I understand that this is a bit out of season, but on the way to the LSU-Arkansas football game this past Friday, my father and I got on the subject of baseball. My dad has followed the sport his whole life. I can remember him combing through the sports pages checking team records the way I do on ESPN these days. Back then, we didn't have a TV, much less a computer. He loves what the game used to be, but hates what it is now. That's not to say that he resists common sense changes like instant replay, but he is the guy who doesn't really defend Pete Rose or feel sorry that Rose will probably never see the Hall of Fame while he's still alive. My father is also a person who has an extremely passionate, fiery desire to see both former and current players who used steroids punished. Granted, that's a fairly common place view among people like my father. People who grew up in a time when baseball ran the world, not the NFL. When winning a pennant was something special. When a Gold Glove was more than a popularity contest. These people feel betrayed by the likes of Jose Canseco, Barry Bonds, Mark McGwire and Roger Clemens. There is an animosity directed towards these men for tarnishing the game. Even now, my dad gets a look on his face when he hears the name of his one-time favorite pitcher, Roger Clemens. I don't think he can forgive, and I know he can't forget. My view is a bit different. While I certainly do not approve of players using illegal substances, I also temporize more than people like my father. I understand it, and I sympathize with the players who felt driven to do it. I also have wildly different views of where baseball should go from here in order to recover from the scandal that is performance enhancing drugs. My father thinks guys who tested positive or were in the courts over allegations over it with sufficient evidence against them, i.e. Barry Bonds and Roger Clemens, should never sniff the Hall of Fame. They should never have their records acknowledged, and they should never be considered equal to the heroes from baseball past. Their punishment should match the depths of their betrayal. I, on the other hand, think baseball has to acknowledge these people. Baseball has to acknowledge what they did, and baseball has to acknowledge when they did it. Asking people to forget what Barry Bonds did in 2001 is absurd. People can't forget how they felt seeing Mark McGwire and Sammy Sosa duel all season long back in 1998. Fans of the game loved these battles, and these seasons created new fans for the sport to embrace. What baseball needs to do is accept what they created; an environment that encouraged players to do whatever they had to do in order to gain some type of advantage, and fostered a "look the other way" mentality until the record books finally crumbled under the assault of talent combined with technological and medical advances. The best way for baseball to move on is to embrace these times. Not to encourage the abuse, not to allow it to go on, but to embrace it and say, "This is what we were." Embrace it and grow from it. Don't pretend like these players weren't great, that they didn't do amazing things. Acknowledge their accomplishments and the fact that these were the years that players and organizational representatives failed to live up to the expectations that we set for ourselves. Record what happen during this time and know that no one will ever forget that Barry Bonds' hat size increased dramatically over the course of his career, or that Rafael Palmeiro went unpunished for lying before congress about using steroids. I don't excuse players who doped or think they were no different from players who used amphetamines earlier in baseball's existence. What I do think is that they were products of their generation, and we loved them while they performed on the diamond and looked the other way while they did what they did off it, for many years. We will always remember what these players did, but any attempt to sweep their accomplishments under the rug just adds to the controversy. 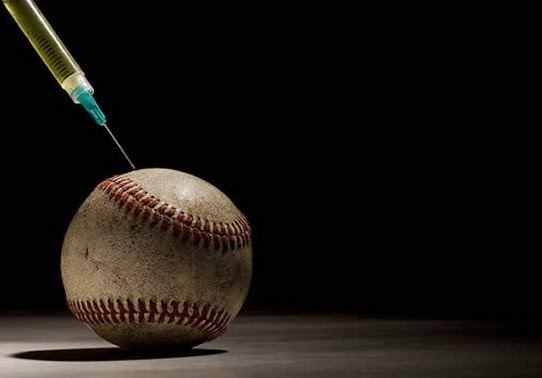 The baseball public understands drugs in the game. Just like we have moved on from the amphetamine scandals earlier in baseball, we will move on from this. Fans won't forget, though, and it's ridiculous to think we should. Completely agree. You can't just disregard the last 20-30 years of baseball because of steroids. It is what it is. Sign of the times. Now this is awesome! Totally agree with you. It is time to move forward, but these players need to be acknowledged. My Dad was a big baseball fan too. When I was younger, these people were praised. Now they are belittled. 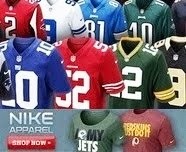 Great article & I agree!